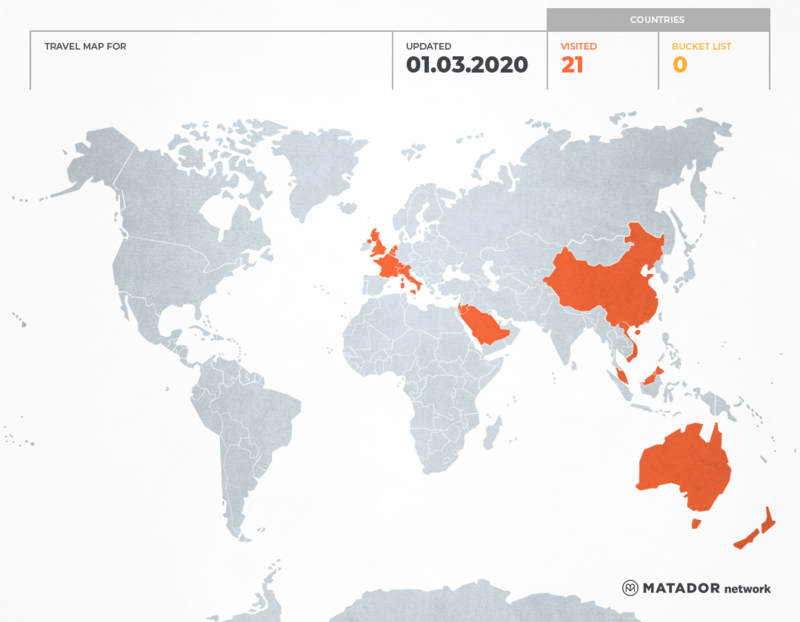 The 29th B’day (Episode III) : Standing On The Sun (Eat. Love. Pray. 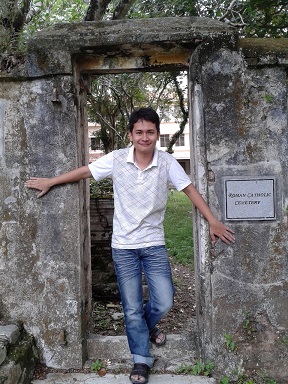 History) @ Penang Island! Penang and I have close affiliation. It’s true that once you are a Penangite, you will always be a Penangite! For me, Penang isn’t only my birthplace and where my nostalgic canvas lies about. It is also an epitome of historical state and being a historical freak, this rich heritage of this used-to-be-Straits State really a strong magnet for me! Penang, my Island Home! Couzy Kak Bujie and Couzy Ween treating me at Kapitan! 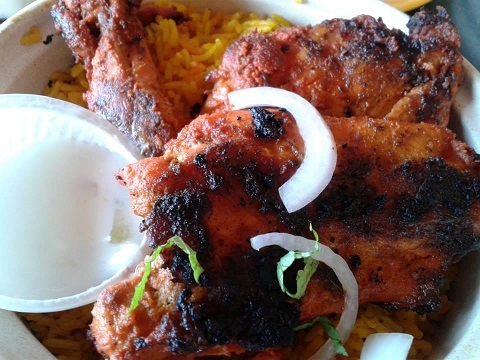 DELICIOUS briyani! 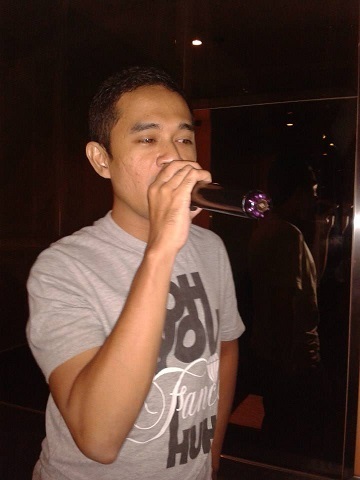 Thanks a lot Kak Bujie! Miss you both! Next-Next Couzy Ween and I under her plaque’s name. Congrats Couz! Feel so happy for her life now. Anyway, right after Perlis rendezvous with Kord; I was thinking of visiting Penang but I just don’t know when. Furthermore, I just knew that the “romantic plan” has just going down the drain. Eleventh-hour setback and some prejudices arose – which always happen EVERY TIME I am away or mingling with friends; which I think is really annoying. Screw it! I don’t give a damn! Will I ever shun or leave those people that I’ve known years ago before I even meet my this “other half”??? NO. I am a loyal person but I am also a loyal friend. Enough said. 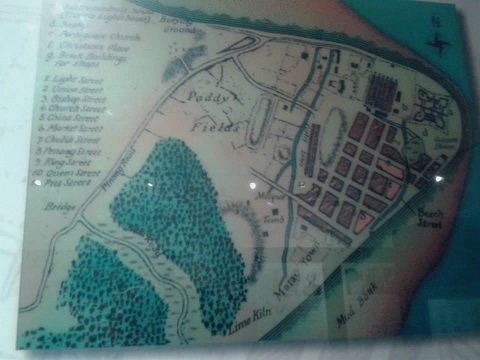 The Penang map in the olden day. Precious! Can you imagine a paddy field in Penang Road????? Now, the area is thronged with tall buildings! 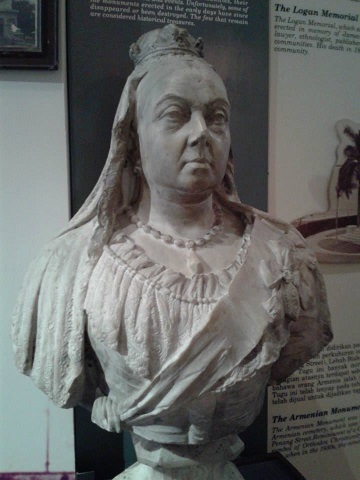 The statue/bust of Queen Victoria. Initially on Monday, I planned to go there but cancelled because I woke up late. Hahaha! I didn’t feel like I have to force myself to do anything; if I feel like I want to go, I’ll go; if not I won’t. Anyway, on Tuesday I suddenly feel like I was all energetic! So… off to Penang! 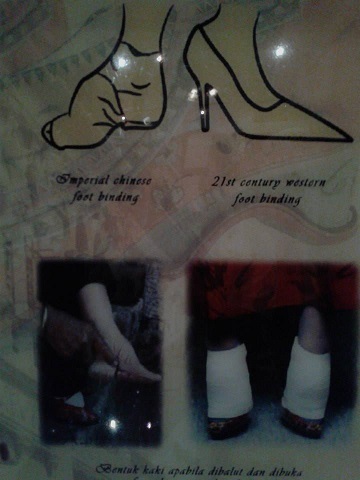 The feet binding tradition amongst the Chinese women and girls; derived from the Mainland China Imperial dynasty era! Eerie and scary! 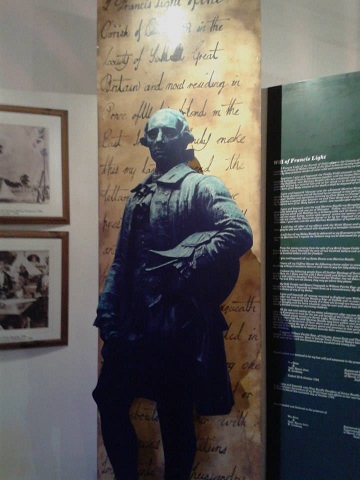 Francis Light, the founder of Penang and also the British colonist who duped the Sultan of Kedah into handing Penang to British. My first destination was The Malaysian University of Science/”Universiti Sains Malaysia” or affectionately known as USM; which happens to be my tertiary education institution! Arrived there just nice at noon. I went to ease myself at the Red House circa Hockey Turf and my, things changed somehow in USM. How I miss USM! 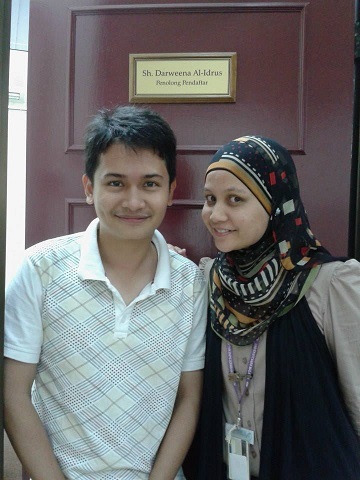 Visited my Next-Next Cousin Darweena at her office – of which now she has her own room as Assistant Registrar and so happy to meet her and catching up whats-hot-and-not in life! Hahahaha! 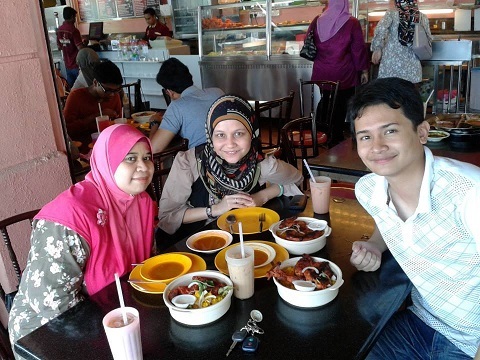 Then Kak Bujie, Darweena’s distanced cousin took us to have lunch at Kapitan 24 Hours “Mamak Stall” opposite Queensbay Mall and I have to say that the Briyani was AWESOME!!!!!!!!!!!!!!!!! They put the Briyani in these cute claypots and really sumptuous; although the waiters seemed a little but rugged. We had great time talking and laughing….. unfortunately, they were both in tight schedule (and me and as well) so we had to make move. Thanks for the treat Kak Bujie!!!!! Hanged out a little while at Couzy Darweena’s office and then had to make a move. Thanks for the hospitality Couz! Miss you all. 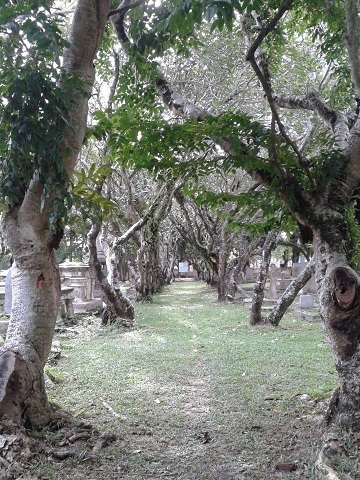 The Old Protestant Cemetery in Georgetown, Penang. I had my Addams’ Family retreat here. Hahahaha. It feels so Halloween! We saw a few red-eyed birds/robins. Seemed like harbinger of death kinda-ambiance. Very Addams’ Family. Hahaha! Next, I pushed off to Padang Tembak to fetch my primary school friend, Marina. Hahahaha…. throughout the journey, we just talked and talked and talked! You know when you have known someone for like half of your life and you are comfortable under your own skin with the person, it was all simply natural. Our first location was a spontaneous spot. 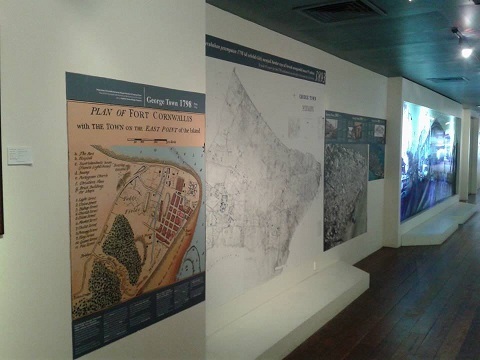 Just as I was driving passed Fort Cornwallis, I saw the Penang Museum! Instantaneously we drove in as the last time I went there was when I was small with Ayah and Kakak. I just love history and being in museum is like a Candy-Land! It was an OK museum BUT the lack thing is that it seemed as if the museum isn’t being taken care of and the air-conditioner was not functioning fully on that day. It was a small museum but informational. Love it! 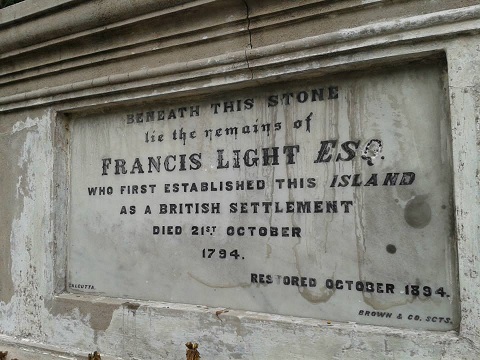 The tomb of Francis Light. Marina spontaneously suggested to me whether I wanted to see Francis Lights’ tomb or not which is situated at the Old Protestant Cemetery. I just concurred with her suggestion and followed her. My, this cemetery is a familiar deserted site and I always passed it BUT NEVER know that it is historical location! Marina is good at this. 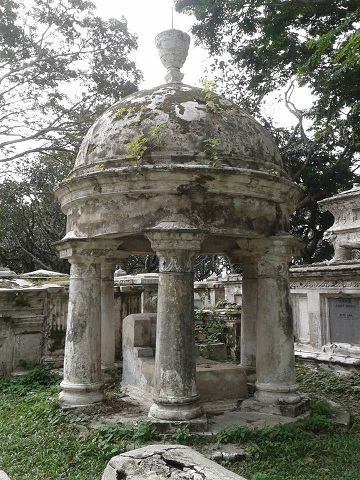 Apparently, it also is the location for Thomas Leonowenns’ tomb who was the husband of British governess named Anna Leonowenns who was famous for teaching the King of Siam’s children and the semi-biopic novel inspired by her encounter named “The King and I”!!!!!! I also noticed that it is also the location for Hutchings’ tomb who happened to be the founder of my alma mater, Penang Free School. I’ve read the school magazine that there is this tradition of prefects coming to read the ode annually… but I am not sure whether the traditional is still carried or not. 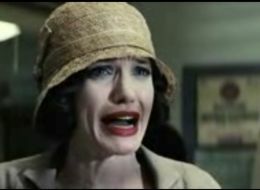 I honestly feel like that was my Addams’ Family retreat! Halloween in the air!!!!!! Hahahahaa…. love the cemetery! 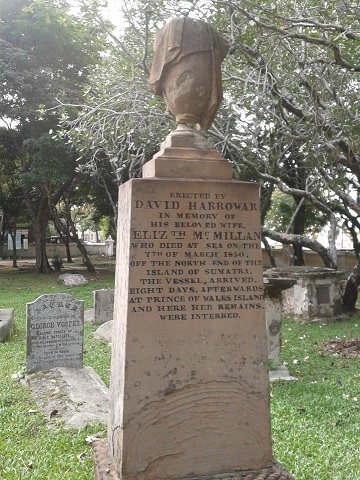 You can check at http://en.wikipedia.org/wiki/Old_Protestant_Cemetery,_George_Town for more information! My favourite of all time! 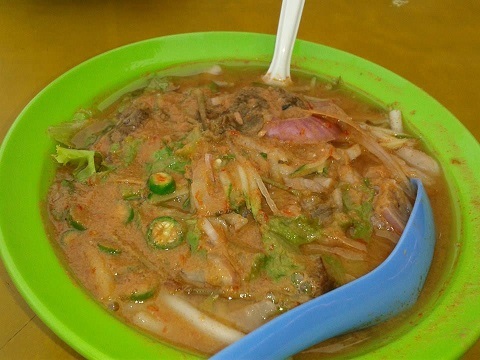 Penang Asam Laksa !!!! 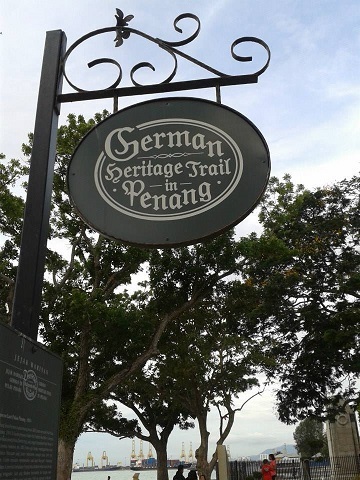 The German Heritage Trail along the coastline of Padang Kota circa Fort Cornwallis in Penang! 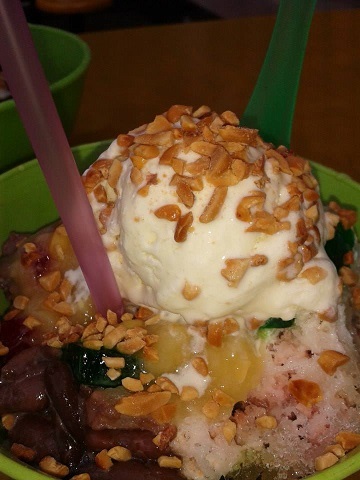 Then, we just relaxed at Padang Kota eating my favourite Laksa Penang and also Ais Kacang (lumps of ice with assorted flavours of colourants, milk, nuts, corns, jelly-o and many more! With the sea breeze blowing, we were talking non-stop, honestly! Padang Kota is definitely my must-come place every time I am in Penang. Oh, those memories with my parents and sister. When I was little, Ayah used to take me around Fort Cornwallis taking up the stairs! 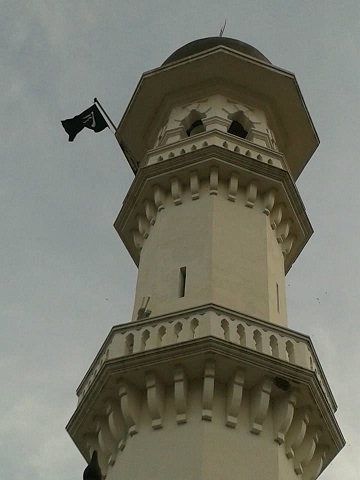 The Acheen Mosque or “Masjid Acheh”. Then, we went to perform prayer at Kapitan Keling Mosque. 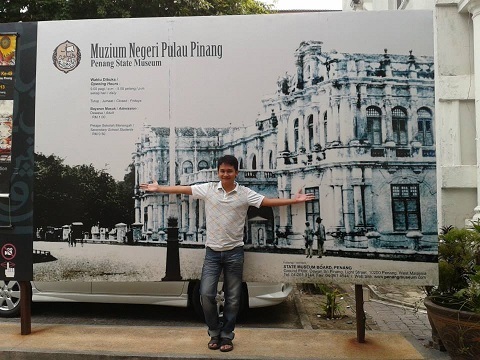 Before that, we just parked my car at the Acheen Mosque, which is another historical mosque in Penang. Marina always comes to Kapitan Keling to have her inner peace relaxation and I could see how the mosque could become a solace. In the middle of chaotic hustle-bustle Penang, the compound of the mosque provides and exudes peacefulness, untainted by the modern world outside of the compound. The historical ambiance was intact! It was already approaching twilight when we arrived at Padang Tembak. Thanks Marina for the hospitality! One day is definitely NOT enough to catch up and explore Penang! 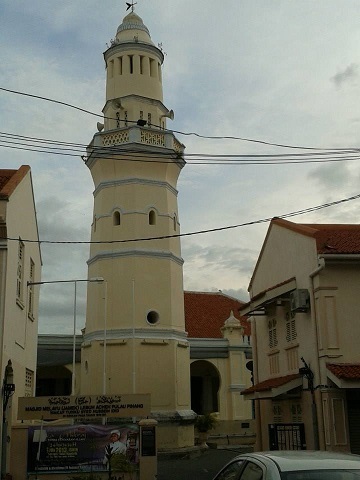 The Kapitan Keling Mosque, which happens to be the oldest mosque in Penang! After performed prayer at Masjid Negeri (The State Mosque), I pushed off to USM and meet up with Khirwan at USM’s Al-Khalik Mosque (I haven’t have the chance to enter. Sad!). He came back from office and meet me. I felt truly touched. 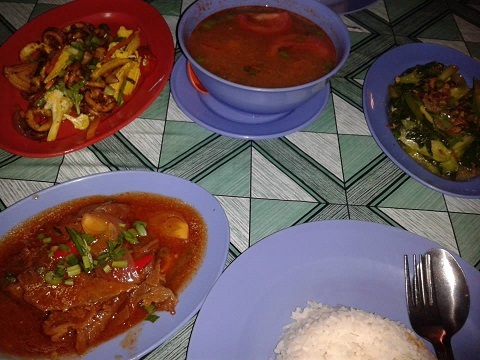 Of course when you are in Penang, all you do is EAT, EAT and EAT! Hahhaha! So, Khirwan initiated that we go to Hammerbay, a stall that he always frequents which happens to be near Queensbay Mall area as well. It was a nice spot at the seaside but the food were a little bit late to arrive. Still for us, it was OK as we were busy catching up! Honestly, I am glad that Khirwan had his goals in life and what he plans to do despite some harsh critics and badmouthing from his other acquaintances and friends. You know for me, NEVER look down on people because you are not the one who thread the path of their lives. Yes, you can give courageous words to boost their confidences but NEVER downgrade them because each one of us has our own way of carving the life. 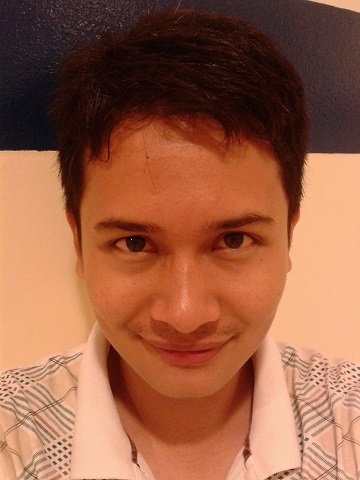 So, good job to Khirwan! 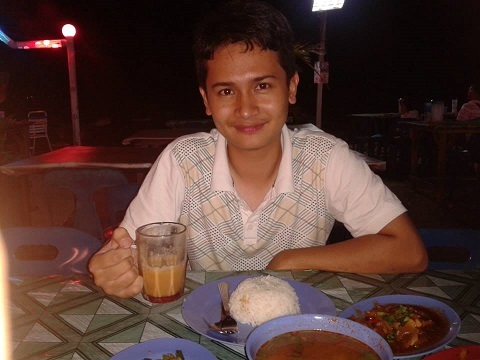 And thanks to Khirwan for the dinner treat. It was awesome although the meat ain’t that nice. But still, it was touching to have friend who expressed the appreciation to you. We screeched our lungs out! Hahhaaa! It was nice to goof around! Then, we headed straight to Queensbay Mall. Initially planned to watch movies but scrapped the idea as no suitable time. So, off we went KARAOKE!!!!!!!!!!! 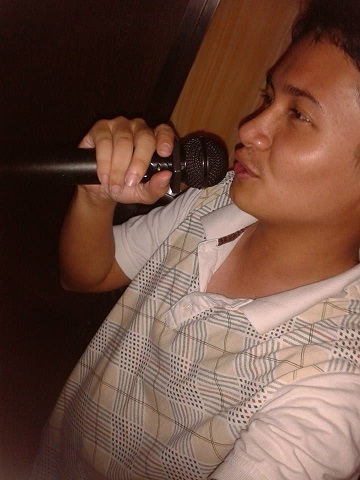 It’s been ages since I last karaoke due to the coarse voice I have been developed due to me using my voice excessively in classes! Hahaha! 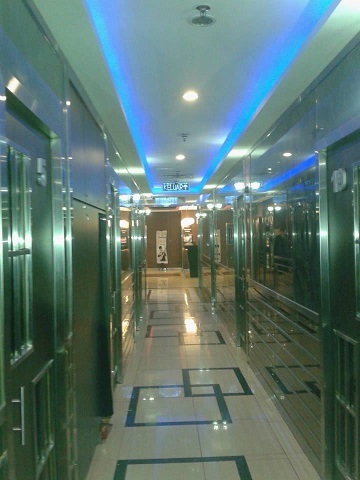 It was quite affordable – RM10 per head for 1 HOUR!!! I guess perhaps it’s because during weekdays. Anyway, we had great time screeching our lungs out and goofing around. Awesome! Khirwan invited me to spend night at his crib since it was already 11.15 p.m. but I thought I could drive back to Jitra. And due to the smooth traffic, I took only 1 hour and 30 minutes from USM to Jitra, Kedah! Yeay! On whole, it was a great experience in the island. Thanks for the hospitality! I can’t help but reminisce Penang when I hear Beyonce’s song in H&M advertisment entitled “Standing On The Sun” with its Carribean and tropical feel, uncanny to Penang! I am touched and overwhelmed for the treats and all! Love you all! ← The 29th B’Day (Episode II) : Deciphering The Mist Of Kingdom On The Clouds – Visiting Timah Tasoh Lake, Gua Kelam & Ostrich Farm @ Perlis Indera Kayangan. 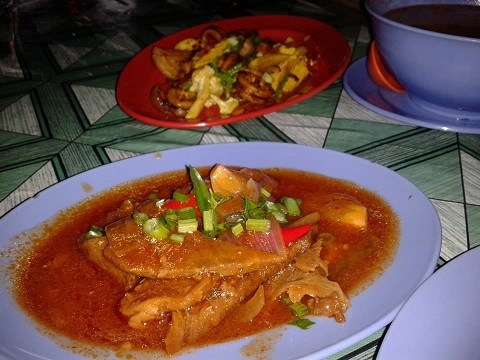 hahahahhaa makan, makan, makannnnnnnnnnnnnnnnnnnnnnnnn…… I love Penang… best. 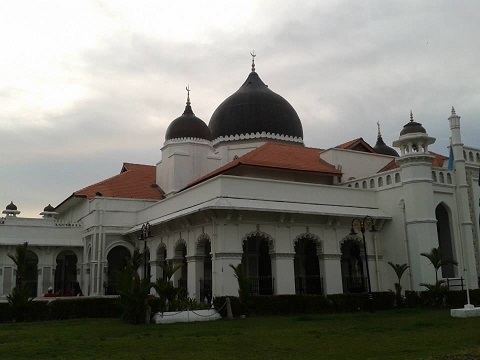 kat padang kota…. bukit bendera. U orang Penang ke Shahrill?